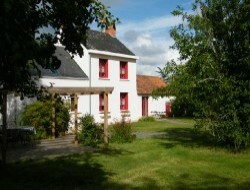 Located in Brière, the cottage Le Graffi-Ty welcomes you in a greenery environment. It offers an enclosed garden (with garden furniture and barbecue) and the opportunity to enjoy beautiful walks in the surrounding countryside. All freshly created, it will delight you with its bright spaces mixing wood charm and modern and comfortable furniture. 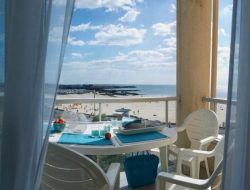 Gîte near GR3, between land and sea: the beaches are 30 mn (Pornichet, La Baule). In Loire-Atlantique (Loire Area), in the heart of the vineyard of Nantes, come to benefit of a moment of relaxation, near pedestrian hikes in vineyards and along the river, in the peace, in a renewed holiday cottage for 4 persons (2 bedrooms in the 1st floor). 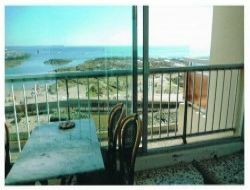 Holiday rental in La Turballe (fishing port of Loire-Atlantique) with fantastic view over the sea. Completely renewed apartment (3rd floor), in a building with ascenceur. Port and shops in 200m, supermarket in 300m. 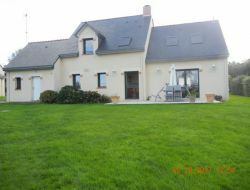 Holiday cottage situated near Nantes or La Baule, in Brière, in twenty km from the ocean, conceived and equipped for a pleasant holidays. Equipment for baby. Big garden and green space. Holiday cottage in the farm situated in 15 km from the sea! 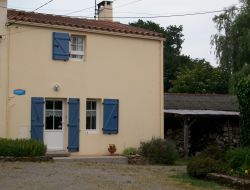 Christelle and Lionel welcome you in their gite near their dairy farm. It is a typical house of the Countries of Retz, 70 m ², for 4 to 6 people, with closed garden and games for children. 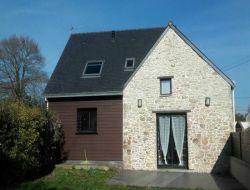 Nice house for 6 people located in the heart of Natural park of Brière, 10km from the Atlantic coast and its beaches. 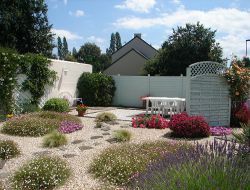 Our cottage has a very large flowery garden with a beautiful pond and fruit trees. 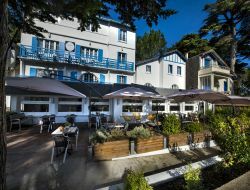 Your seaside holidays in Loire-Atlantique, at 1h from Nantes, our holiday residence situated in La Baule welcomes you on the Côte d'Amour and proposes you at 200m a long magnigique fine sand beach of 9km. Situated in the regional park of Brière in 800m of the small municipality of Besne and fitted out in a former stones house, our gite for 6 people will welcome you in the peace of the countryside in a set of spacious romms, with garden and raised park for the relaxation of your children.